People in prison deserve a place in our media. Help us open the airwaves. For 25 years, Prison Radio has aired the voices of some of the most progressive political prisoners. Now we need your help to keep this going. Thanks to supporters like you, we broadcast testimonies on local radio stations, national networks, and international channels. 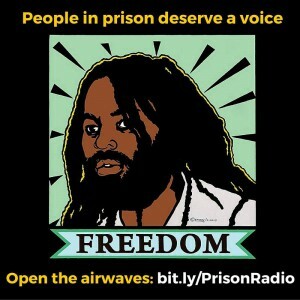 You’ve gotten to hear Mumia Abu-Jamal’s social commentaries in the global media, along with breaking news from over 100 journalists reporting from inside U.S. prisons. *those held in Pennsylvania prisons (where a recent law sought to silence all PA prisoners).